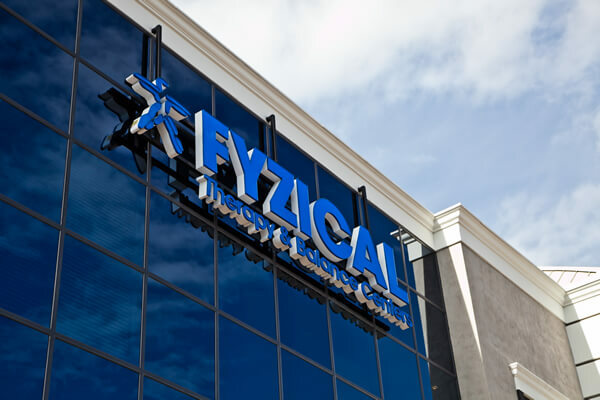 FYZICAL ® provides proprietary knowledge, programs, and plans to assure success in operating a physical therapy business in today’s challenging world. FYZICAL is effecting real change in healthcare by servicing a major unmet need in the patient population allowing independent business owners (financiers, PTs, Audiologists and Otolaryngologists) to experience emotional and financial rewards in the process. FYZICAL is leading the charge to transform healthcare from one of “sick care” to “well care” by providing services focused on quality outcomes, total well-being, and prevention. FYZICAL provides business instruments allowing you to run your business more successfully and more profitably, immediately. Using a Nobel Prize winning formula, elite PTs, medical professionals, and business experts have created an innovative new business model called “PT-Rx.” Utilizing PT-Rx not only sets the standard for excellence in patient care, but also allows you to become the dominant provider of health care services in your community and secure a successful future. A franchise network working together in collaboration to share ideas, resources, and knowledge all in a non-competitive setting, FYZICAL has invested over $6 million to offer what no other organization in the world does: a team of dedicated business experts, medical professionals, cutting edge technology, and an abundance of resources no single business owner would ever be able to have access to on their own. Through the unique advantages ONLY a franchise network provides, FYZICAL is specifically designed to bring growth, success, and prosperity to practice owners across the country. FYZICAL’s training and full time support are behind you 100%. FYZICAL will help you: Make more money, grow your business, improve patient care and love your life! We are convinced those who join will have a very bright future. Our plan is to move quickly to prevention, wellness and cash plan with a focus on falls, balance, dizziness, pain, mobility, quality of life and medically-based fitness. Join us in building a bright future with pride of ownership and great value when you retire. Create a positive environment for your patients, yourself, your family, and your employees! Fill out the form today! FYZICAL Therapy & Balance Centers is currently accepting inquiries from the following states: Alabama, Alaska, Arizona, Arkansas, California, Colorado, Connecticut, Delaware, Florida, Georgia, Hawaii, Idaho, Illinois, Indiana, Iowa, Kansas, Kentucky, Louisiana, Maine, Maryland, Massachusetts, Michigan, Minnesota, Mississippi, Missouri, Montana, Nebraska, Nevada, New Hampshire, New Jersey, New Mexico, New York, North Carolina, North Dakota, Ohio, Oklahoma, Oregon, Pennsylvania, Rhode Island, South Carolina, South Dakota, Tennessee, Texas, Utah, Vermont, Virginia, Washington, Washington, D.C., West Virginia, Wisconsin, Wyoming.